Deck Pro Lights are perfect for Decks, Patios & Pathways and indoor stairs. 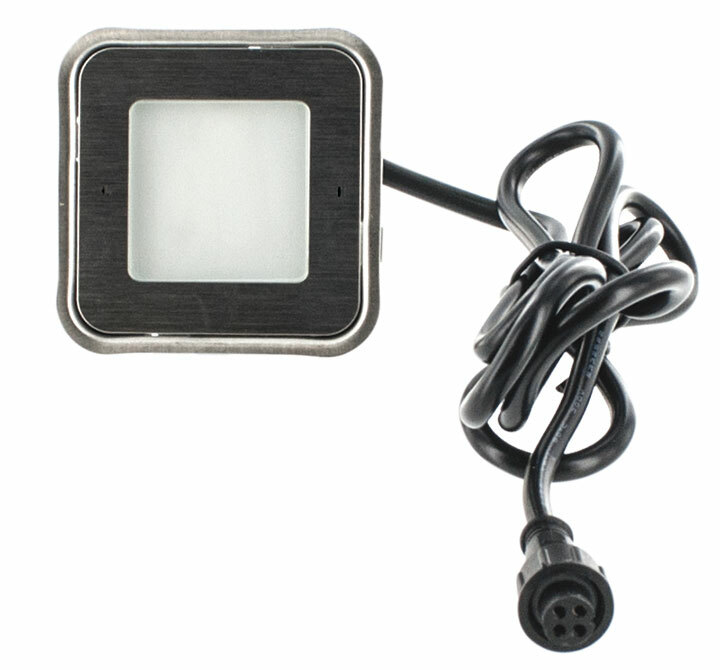 Suitable for wet locations with IP67, Deck Pro lights are safe for indoor and outdoor applications; with no dust ingress; and submersible up to 1 meter. Sturdy, All Metal, Stainless Steel Construction further assures product longevity with 220 lb load capacity per fixture. Able to withstand substantial amount of wetness, Deck Pro Lights are ideal around pools, decks and fountains, seamlessly blending with your landscaping. These recessed mounted LED lights provide up to 60 Lumens of soft, comfortable lighting in Cool White, Warm White or RGB Color Temperature with Beam Spread of 120 degrees with constant voltage from the low voltage power supply that won’t overheat. The 6 foot power cable provides reach from the power supply and each of the 6 lights has an additional 39 inch long wire, yielding plenty of length for ultimate light positioning. Rated Average Life of the lights is 50,000 hours, 25 times longer than that of a traditional light bulb. RGB Controller with remote in the Red Green Blue Kit providing ultimate custom lighting for mood setting. Professional grade, smooth adjustments between colors provide jitter free comfortable switching. The 15 key multi-option controller is essential for professional grade results with limitless color change choices at your fingertips. Hooded Stair Lights are perfect for Stair Illumination, Wood Decking & Stair Posts. Suitable for damp locations with IP65, Hooded Stair lights are safe for indoor and outdoor applications; with no dust ingress; and safe when exposed to 6.3 mm water jets from any direction. Sturdy, Zinc Alloy Construction further assures product longevity with 200 lb load capacity per fixture. Able to withstand substantial amount of wetness, Hooded Stair Lights are ideal around pool, decks, stairs and fountains edges; blending seamlessly with your stairs-scaping. These recessed mounted LED lights provide up to 55 Lumens of soft, comfortable lighting in Cool White, Warm White or RGB w Color Temperature with Beam Spread of 120 degrees with constant voltage from the low voltage power supply that won’t overheat. The 6 foot power cable provides reach from the power supply and each of the 6 lights has an additional 36 inch long wire, yielding plenty of length for ultimate light positioning. Rated Average Life of the lights is 50,000 hours, 25 times longer than that of a traditional light bulb. RGB Controller with remote in the RGB Kit providing ultimate custom lighting for mood setting. Professional grade, smooth adjustments between colors provide jitter free comfortable switching. The 15 key multi-option controller is essential for professional grade results with limitless color change choices at your fingertips. 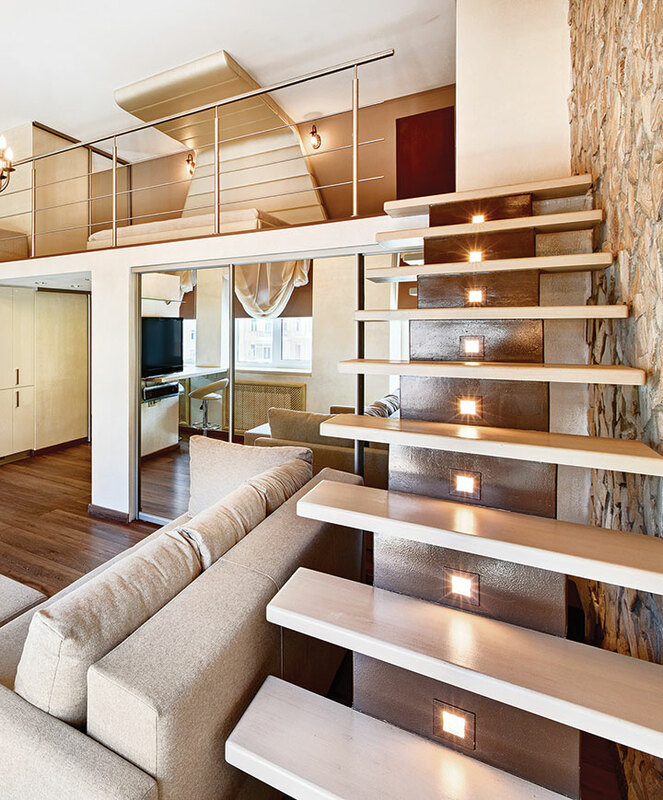 Square Stair Lights are perfect for Decks, Patios & Pathways and indoor stairs. Suitable for wet locations with IP67, Square Stair lights are safe for indoor and outdoor applications; with no dust ingress; and submersible up to 1 meter. Sturdy, All Metal, Stainless Steel Construction further assures product longevity with 220 lb load capacity per fixture. Able to withstand substantial amount of wetness, Square Stair Lights are ideal around pools, decks and fountains, seamlessly blending with your landscaping. 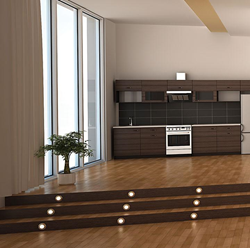 These recessed mounted LED lights provide up to 60 Lumens of soft, comfortable lighting in Cool White, Warm White or RGB Color Temperature with Beam Spread of 120 degrees with constant voltage from the low voltage power supply that won’t overheat. 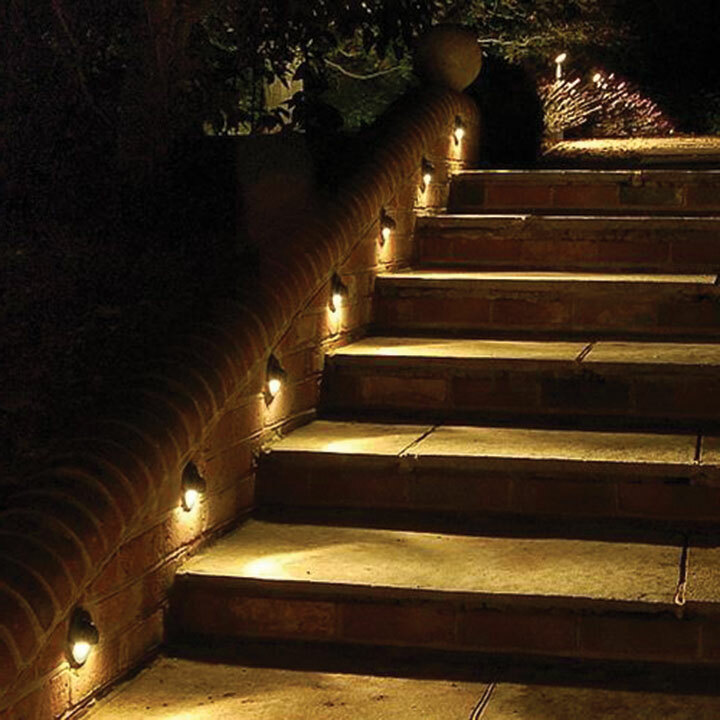 Outwater's Deck Pro LightsDecks, Patios & Pathways and indoor stairs Square Stair LightsSquare Stair Lights are perfect for Decks, Patios & Pathways and indoor stairs. Square Stair LightsSquare Stair Lights are perfect for Decks, Patios & Pathways and indoor stairs. Hooded Stair LightsHooded Stair Lights are perfect for Stair Illumination, Wood Decking & Stair Posts. Hooded Stair LightsHooded Stair Lights are perfect for Stair Illumination, Wood Decking & Stair Posts.